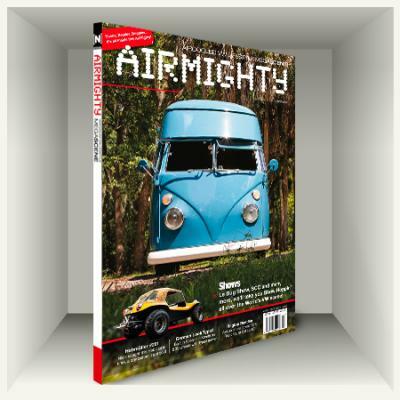 Here is the AirMighty #17 – Spring 2014 edition. Again 164 pages filled with the best air-cooled VW cars and shows from our scene! - ...and 8 more VW Shows from around the Globe! - SCC, Norway’s Finest Drag-Race action!